Will There be Humans in Robots' Future? 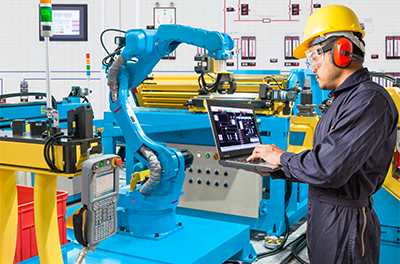 For many years, the idea of autonomous robots taking over all work in a factory or assembly line was seen as progress – replacing workers to perform tasks on assembly lines to improve overall efficiency with a high price tag. It is also seen as a threat to the job security of factory workers. 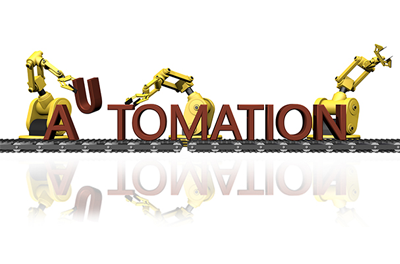 Much has been debated over the years about this topic and the current trend of collaborative robots has emerged as an alternative. Instead of completely replacing factory workers with robots, some companies are looking into the integration of collaborative robots arms, cobots for short, which can work alongside with human workers. They can be programmed to autonomously operate within a limited list of tasks or need human assistance to complete specific applications. The cobots are less expensive than fully functional robots, yet they can operate with much higher precision, perform heavy-duty work in more dangerous conditions, and offer lower error rates than humans. These cobots are usually compact in size, versatile in its use, affordable, efficient and easy to configure, setup and maintain. Human workers are free to perform responsibilities that require manual dexterity, ingenuity and complex problem solving – something that even advanced robots cannot perform just yet. The collaborative robot concept has gained popularity in recent years. Some say these cobots will revolutionize production. It can help smaller operations offer better competition and gain ground in their markets as well as enhance productivity and efficiency in large factories. Experts are seeing a strong growth potential for cobots in the near future. Some said they expect to see the growth level increase tenfold between now and 2020. The price of these cobots is expected to continue to fall, hence, increased adoption rate for use in automation. Mid- to small-size companies soon are expected to be able to enjoy its use and expanded applications. Newer available technologies, i.e., vision sensors and 3D sensors have come into play and help widen the use of cobots. It is certain that cobots will be used in many more new applications as technology progresses and associated costs drop. The majority of recent cobots are simple robotic arms that consist of computer/embedded boards/systems, sensors, vision systems, human interface units, power supplies, etc. They are programmed to perform specific tasks that may include, inspection for outliers, lifting heavy items, assembling parts, monitoring specific functions of other machines or tasks, moving items and more. These robots can stop themselves on impact with sensors and handle heavy loads beyond human capabilities. It can be programmed for specific movements that human's anatomy is incapable of performing. Most cobots are safe to work alongside humans and can navigate around them to avoid potential injuries. The real brains behind these collaborative robotic arms are the industrial embedded motherboards, PC-based controllers and touch panel PCs that are used to control cobots, factory assembly line equipment including sensors and actuators and other robotics in factory automation. 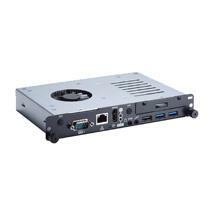 Axiomtek's compact, industrial-grade Pico-ITX embedded motherboards can be integrated into cobots to control a variety of their functionality and task performance. 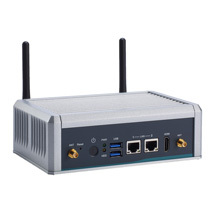 Axiomtek's Pico-ITX product line offers scalable CPU options including the advanced 6th generation Intel® Core™ I family and Celeron® processors, high expandability, rich I/Os including USB, DIO, PCI Express and Gigabit LAN ports with great graphical capabilities and Intel® AMT support for remote management. 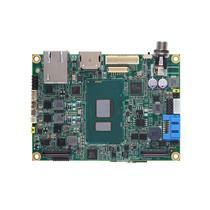 Axiomtek’s comprehensive product line of the extreme compact Pico-ITX form factor motherboards can pack a punch and is among the best in the market. 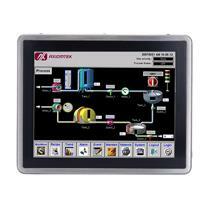 Axiomtek's modularized embedded computer systems (mBOX), EtherCAT Master Controllers, Industrial PCs, DIN-rail embedded controllers, touch panel PCs and embedded motherboards are made specifically for automation and can be used as robotic controllers. 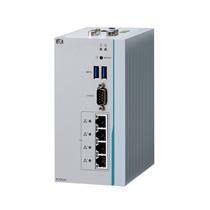 Additionally, they can be used as PLCs, PACs, edge processors, IoT gateway device and more in factory automation environment. 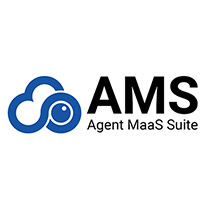 They are highly customizable and designed with flexibility in mind for various topologies and communication options to connect with other edge devices, sensors, and more. 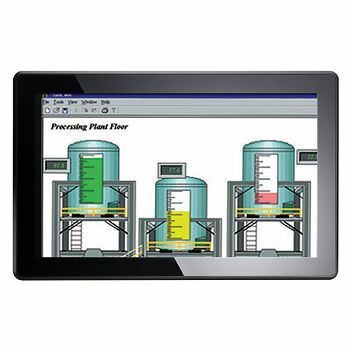 These systems can be used for a variety of automation industry applications such as robotics, inventory management, quality control, assembly line control and more. They are designed to help enhance productivity, increase efficiency, reduce human errors, and offer a higher return on investment. 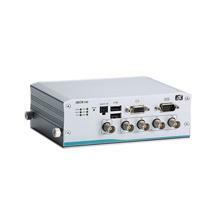 Another specialized embedded system product line designed specifically for automation is Axiomtek's EtherCAT Master Controllers, which feature support for Acontis EtherCAT Master Stack and are verified with IntervalZero EtherCAT Master Stack and Solution KingStarlO32 for interoperability between connected devices. 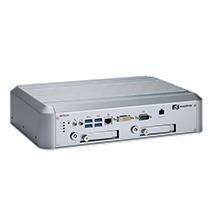 They also support Windows real-time extension RTX64 and offer seamless integration with servo devices. 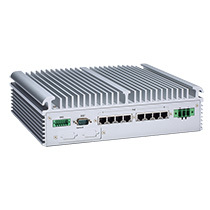 Axiomtek’s EtherCAT Master Controller product line features scalable CPU options along with high customizability and flexibility for communication options. 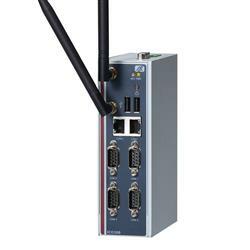 They come equipped with an EtherCAT port, making it a breeze to connect. 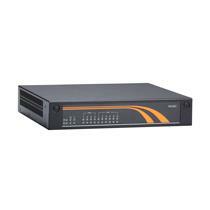 These specialized embedded systems offer distributed clock function that support synchronization of all slave devices. 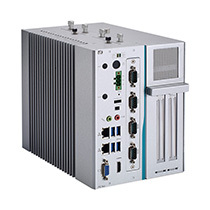 Axiomtek also offers rugged EtherCAT Master industrial PCs with expansion slots and many rich, flexible features designed for a wide range of automation applications. 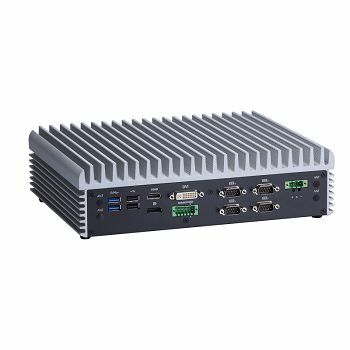 Axiomtek's embedded computer systems can be integrated into a variety of automation industry applications since these systems feature high performance CPUs, wireless communication options, wide operating temperature ranges and more. 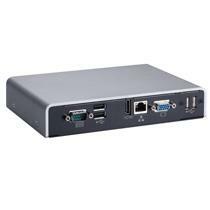 The mBOX product line is a modularized embedded computer specifically designed with versatility - and time and cost efficiency in mind. 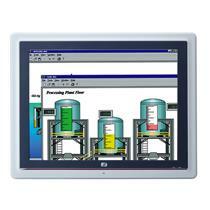 The system can be customized with different I/Os to fit the specific needs of various projects. 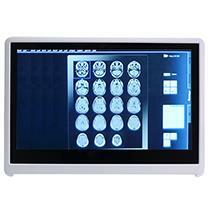 It is an ideal system for integration within one platform. 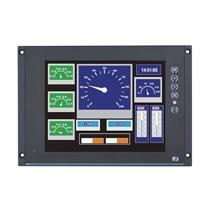 It supports multi-system configurations with cable-less assembly. 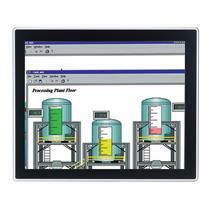 The system can be customized in a short period of time with off-the-shelf modules. 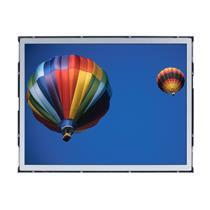 The base unit offers scalable CPUs with many features in place. 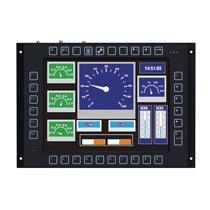 Optional modules include, LAN, integrated I/O and more. 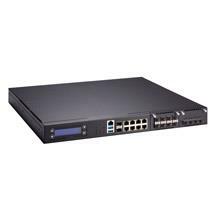 The ICO300, Axiomtek's controller designed as an IoT gateway, features the low power consumption Intel® Atom™ E3815 processor, isolated GbE LAN ports for reliable communication options as well as extensive wireless communication options and more. Axiomtek's design assistance and value-added service teams have many years of successful experience assisting automation industry customers with their important project needs. They can provide overall project support or task-specific assistance during development, testing, deployment and post-deployment phases. Axiomtek’s capable and experienced teams, which include hardware, software and application engineers, can deliver what is needed, when it is needed and with the highest quality available that is known to exceed customer expectations.